New research from scientists in Germany sheds more light on the unusually long latency period associated with mesothelioma and other asbestos-related diseases. The study, published earlier this year in the European Respiratory Journal, is the first to track the presence of asbestos fibers in lung tissue over time. Mesothelioma has one of the longest latency periods of any cancer. It typically takes anywhere from 20 to 50 years after a person’s initial exposure to asbestos before symptoms arise. Using the German Mesothelioma Register, researchers at Ruhr-University Bochum discovered the volume of asbestos fibers in tissue does not decrease over time, regardless of the type of asbestos involved. Specifically, the concentration of chrysotile — the most common of the six types of asbestos — remained stable over time, despite some previous studies suggesting it may be easier for the body to rid itself of that particular type of the naturally occurring mineral. Although all six types of asbestos minerals are carcinogenic, each has different physical and chemical characteristics. Chrysotile, which accounts for 90 percent of asbestos used commercially in the world, belongs to the serpentine family. The fibers are curly, comprised of sheets of crystals and are more flexible compared to other types. Other forms of asbestos including crocidolite, amosite and tremolite are amphiboles, characterized by long, straight and sharp fibers. When these microscopic asbestos fibers are unknowingly inhaled, they can become trapped in the pleura, which is the protective membrane surrounding the lungs. Over many years, the fibers cause inflammation and scarring, which can lead to serious respiratory conditions including mesothelioma and lung cancer. However, there is still much to learn about exactly how and when these biological changes occur. Most mesothelioma patients don’t experience symptoms until decades after exposures to asbestos. Many have retired from high-risk occupations. The German study gives new insight into asbestos’ ability to remain in the body over time, known as biopersistence. Earlier research only evaluates biopersistence in animal experiments or in hypothetical models based on asbestos concentrations at workplaces and autopsy results. At least two biopsies at minimal intervals of four years. Results of asbestos concentration had to be available. Earlier asbestos fiber burden from surgery or bronchoalveolar lavage — a diagnostic procedure — had to be available. Biopsies must show at least 500 fibers of asbestos per gram of lung tissue. In the study, the time between biopsies varied from four to 21 years, with a median of eight years. Some biopsies were done during diagnosis or surgery, while others were completed as part of an autopsy. Electron microscope analysis revealed high concentrations of chrysotile asbestos in 66.7 percent of tissue samples, with the rest containing mainly amphibole fibers. The longest asbestos exposure cessation (time since last exposure) was 37 years, falling in line with the average latency period of mesothelioma. Concentrations remained stable over the investigation period, suggesting the type of asbestos has no significant effect on the body’s ability to rid itself of the toxic fibers. Previous research proves chrysotile is dissolved completely when acids are applied. Uncontrolled use of ultrasound can also destroy the most common asbestos type. Feder and his team believe previous data showing a reduction of chrysotile fibers in human lung tissue must have occurred not long after the accumulation of fibers. “It is clear that there has been no relevant change in the ratio of amphibole to chrysotile fibres and that the chrysotile concentration has remained stable over the investigation period of 4–21 years,” Feder wrote. 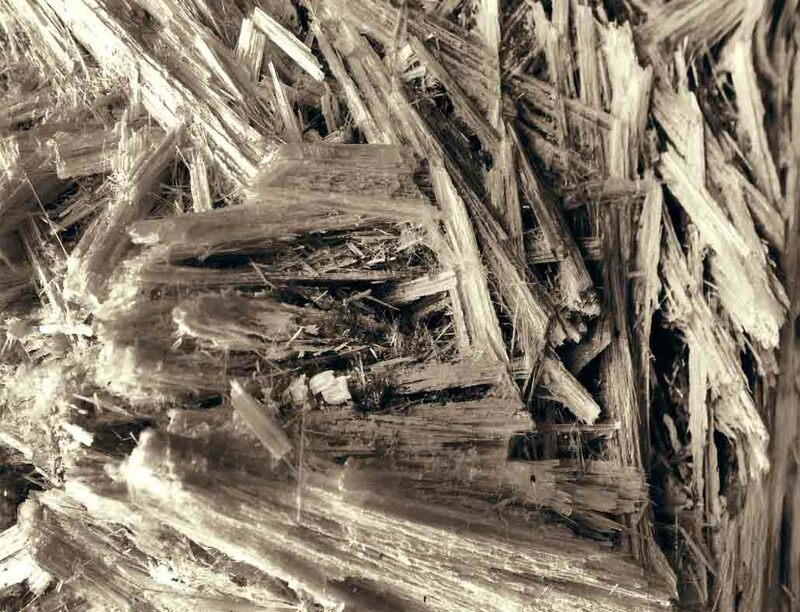 As the first study to test asbestos biopersistence in humans over time, the German research proves chrysotile can be just as toxic as other forms of asbestos and should be treated with the same level of concern. Feder, I. et al. (2017, June 29). The asbestos fibre burden in human lungs: new insights into the chrysotile debate.